A segment of the Undergraduate Council issued a statement Monday evening sharply criticizing Harvard for what the UC called the school’s “failure” to keep students safe in the wake of the Cambridge Police Department’s forcible arrest of a black undergraduate. The statement also affirms that the Council stands “in solidarity” with the arrested student as well as with black Harvard affiliates more broadly. CPD officers arrested the undergraduate Friday at the corner of Massachusetts Avenue and Waterhouse St. after receiving several calls about the student, who was standing naked and had thrown his clothes at a bystander. While the student was on the ground, at least one officer punched him five times in an attempt to unpin his arms and handcuff the undergraduate, according to the report. The student was ultimately charged on several counts including assault, indecent exposure, and resisting arrest. BLSA has called the incident an instance of police brutality. 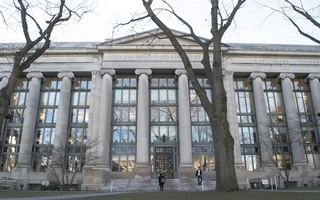 The UC representatives also criticized what they called a “failure” on the part of Harvard to adequately respond to the student’s needs prior to his arrest. University spokespeople could not immediately be reached for comment late Monday evening. The student involved in the incident is currently undergoing evaluation at a hospital for issues including mental health concerns—and the ongoing evaluation is “one of the reasons” the student has yet to be arraigned, Cambridge Police Commissioner Branville G. Bard Jr. said at a press conference Monday. Bard did not directly answer a question Monday asking whether charges against the student could be dropped in light of the undergraduate’s mental health. 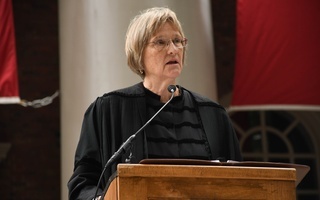 University President Drew G. Faust called the student’s arrest “disturbing” in an email she sent to Harvard affiliates Monday afternoon. 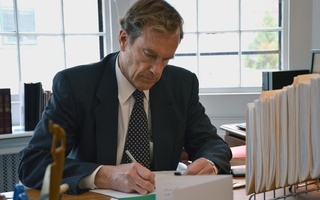 Faust also pledged to work with the City of Cambridge moving forward to address the incident. The UC letter demands accountability for those involved both directly and indirectly in the arrest and asserts Harvard and local institutions should treat this event as an opportunity to enact change. CPD plans to hold an internal review of the student’s arrest given the officers involved used force to apprehend the undergraduate. CPD policy mandates the department must conduct this kind of review whenever officers use force. 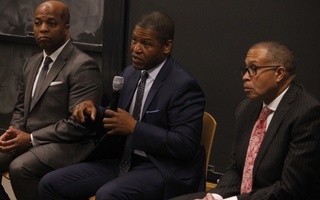 Associate Dean of Students for Diversity and Inclusion Roland S. Davis said at a UC meeting Sunday that Harvard’s Office of General Counsel—as well as Massachusetts Hall—is “involved” in examining the student’s arrest. Bard said at the press conference that the department will make the results of its internal review public. He also said he “absolutely” supports the officers involved in the incident. The UC members who wrote the letter also questioned the sequence of events Friday. 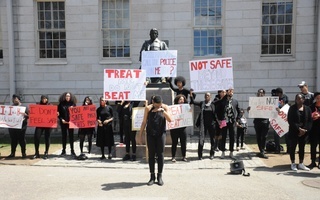 “If Harvard cannot ensure the safe transport of marginalized students to HUHS when they are in need of medical attention, these students will suffer, facing a decision between two dangerous options: not seeking care and seeking care that puts them at risk for police violence and further harm,” they wrote. “For example, this incident raises doubts about the spirit behind and safety in activating the alcohol and drugs amnesty policy, as despite the fact that HUHS was called to help, the student in question was not safely transported to HUHS. “Instead, he was arrested, charged with a crime, and brutalized by CPD,” the UC members wrote. In response to a UC representative’s question Sunday asking why the amnesty policy was not applied during the incident Friday, Davis said he is unsure. “I hope to hell it’s being looked at,” Davis said. Council members also wrote in the statement they feel the UC’s response to the arrest came too late. All but five active members of the UC signed the letter. The five who did not sign the statement either could not be reached for comment or declined to comment late Monday evening. “We promise to advocate for structural change to ensure events like this never happen again,” the letter concludes. 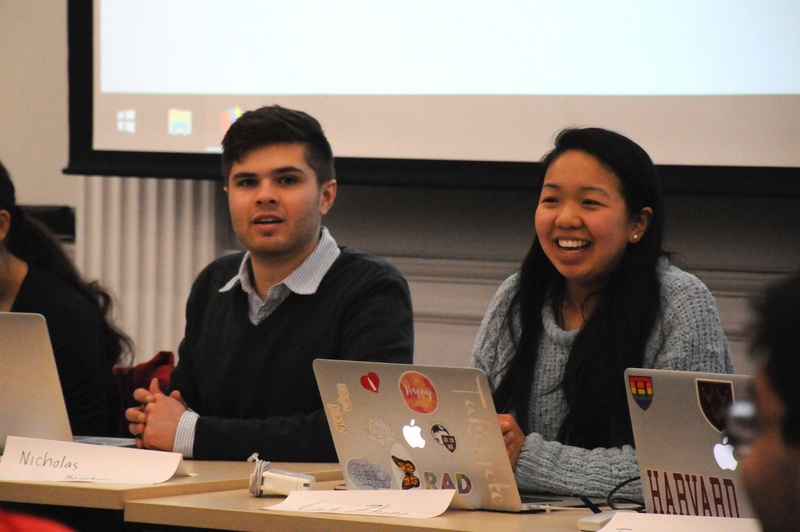 UC President Catherine Zhang ’19 and Vice President Nicholas D. Boucher ’19 wrote in an email accompanying the Council members’ statement that the two plan to send a follow-up email detailing action items including meetings with administrators, conversations with undergraduate leaders, and a town hall slated to be held next week.